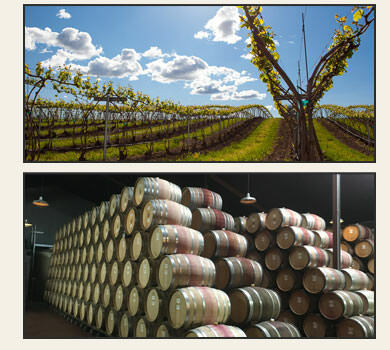 Our winemaking philosophy balances old-world traditional techniques with modern science and technology. We are focused on making wines that are big and full-bodied, but with smooth generous tannins and velvety rich textures. We create wines that have a long cellaring potential but are very approachable upon release. A stocked cellar is fun to have but let’s face it, the waiting is the hardest part. Our wines go through intense sorting and inspection at harvest, customized cap and tannin management for each lot during fermentation, and specific cellaring and cooperage actions during the elevage period. The wines that are created are classically balanced and proportioned, display elegant complexity, and pair perfectly with friends and family. These are our reasons. What are yours?